In an interesting development for reef-keepers Red Sea has developed a unique patent pending formula to treat the pest anemones Aiptasia sp., Anemonia majano and Boloceroides sp. Aiptasia (also reffered to as glass anemones) are often introduced on live rock or corals hitchhiking and can quickly reach plague proportions in marine aquaria, destroying corals and other marine livestock with devastating effect. Existing treatments are often unsuccessful as when threatened Aiptasia quickly retract into holes in the rock and release planula (larvae) in to the aquarium which can rapidly develop in to full anemone colonies. Additionally any part of the anemone’s body left attached to a rock can regenerate into a full anemone. Many treatments can therefore lead to a proliferation rather than the removal of Aiptasia. 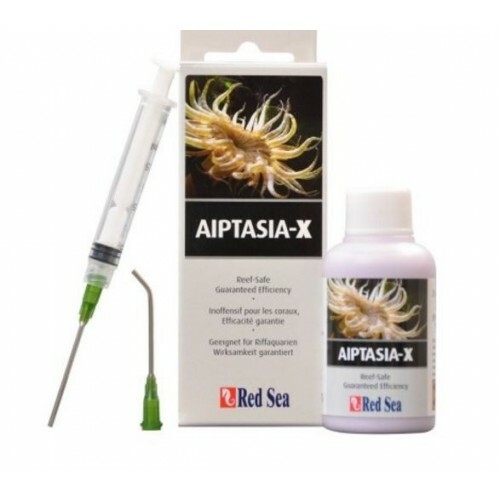 Aiptasia-X consists of natural ingrtedients which form a uniquely thick, unique adhesive material. Instead of causing the Aiptasia to feel threatened, the unique formula is sensed as food stimulating the anemone to expand and ingest the material. The adhesive form of the treatment makes both the application of the material easy as well as sealing the anemone’s mouth preventing any release of planula. Within minutes even sometimes seconds of applying the material the Aiptasia will implode, eradicating both the anemone and its planula. 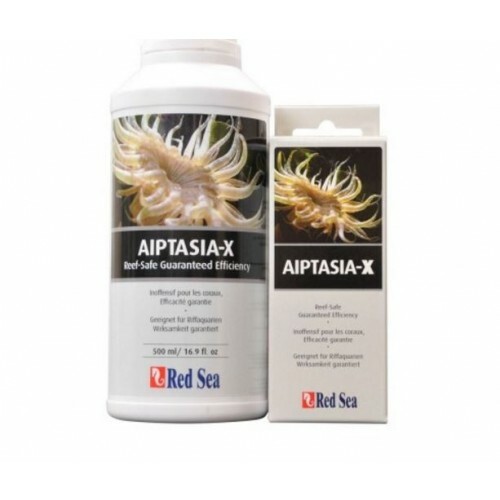 Red Sea’s new treatment is completely reef-safe meaning no harm will be done to your livestock or aquarium inhabitants and any material not ingested by the Aiptasia is harmless to sessile invertebrates. Excess material will decay harmlessly over time without any adverse consequences or you can siphon out them remainder fluid. 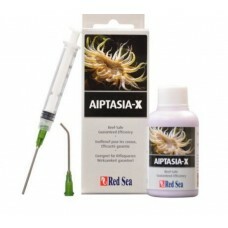 The Aiptasia-X kit includes a 60ml bottle of material plus an applicator set consisting of a syringe with 2 (straight and angled) lock-on applicator tips enabling treatment of even the most inaccessible of anemones. The 60ml provided in the kit should be sufficient to treat approximately 100 Aiptasia anenome.